Provides energetic leadership, strategic vision and direction for United Way of the Capital Region to advance community impact initiatives in the areas of education, income, health and basic needs. Member of the senior management team and is directly responsible for developing and implementing strategies to expand and design an effective system of community planning, resource investment, and partner/community relations. Manages all aspects of the community impact department including; ongoing research relating to community initiatives, budgeting, employee performance, and volunteer engagement. Serves as a key member of the Senior Management Team, providing vision, leadership, and team-building qualities to the team. Assists the CEO and Senior Management Team in developing and promoting the long-range plans and goals of the organization. Ensure a system of continuity of volunteer leadership and assists in recruitment and recognition efforts. Work with managers of functional areas to develop annual workplans based on the strategic direction of the United Way. Manages and monitors departmental budgets and assists with grant sourcing and compliance efforts. Represent the organization in the community as the primary point of contact for community initiatives and make recommendations regarding United Way’s role within those initiatives. Ensure that data on community human service programs and needs are regularly compiled and assessed. Serve as managing partner of community dashboard in reporting this information back to the community. Provide lead staff support for the Community Impact Committees and ensure the staffing of all sub-committees of the department. Attend meetings and professional seminars which will increase professional skills and abilities and assist the Community Impact Department to fulfill its mission and workplan. Regularly meets with subordinate associates (monthly one-to-one, weekly or bi-weekly with teams) to: discuss overall business context, plans, and problems; build understanding of how their roles connect to the organization’s mission; and seek feedback. Develops and executes plans for achieving departmental goals. Assigns tasks so employees know what is required of them (quality and quantity), by when and what resources are available. Appraises how effectively employees use their judgment and discretion in role accountabilities; creates an ongoing dialogue with them about the appraisals. Coaches employees to increase their effectiveness and develop strengths in their role. Continuously improves systems and processes; identifies new opportunities for improvement. Recommends team additions and dismissals; assists in the solicitation and selection of candidates for consideration. Effectively orients and trains new employees into role requirements, working relationships, company requirements and culture. Identifies developmental opportunities for employees. Bachelor’s Degree in Social Work, Public Administration or related field, or equivalent experience required; Master’s Degree preferred. At least 8 years of experience with community organizations, community planning or related human service fields. Engagement with successful partnered initiatives preferred. Demonstrated leadership of staff, volunteers and team-oriented work. Excellent written, verbal, analytical and conceptual skills required. Strong organizational and problem-solving skills required. 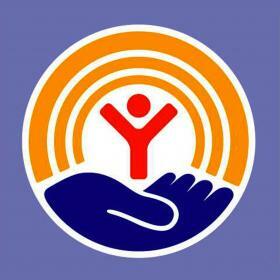 Prior United Way experience desirable. Possess and maintain a valid driver’s license and insurance policy.